I used to hate the Beastie Boys. And I put that half on me and half on them. I was a kid when Licensed to Ill came out of nowhere and was suddenly everywhere. But I wasn’t just any kind of kid, I was a rock snob. A douchey rock snob. That’s on me. But I also had family and friends that were unabashedly hip-hop before hip-hop was cool— growing up in a town where hip-hop wasn’t ever cool, and probably never will be. So yeah, I knew all the records and references. I knew Kurtis Blow (and not just “Basketball”), and Grandmasters Flash and Melle Mel, (and not just “The Message” and “White Lines”) and tons more. I’ve been dragged to a Spoonie Gee show. Don’t test my cred. But Licensed to Ill was straight trash to me. I still can’t listen to most of it. So that’s their fault. I also knew, even though “it was a different time back then,” that some of those lyrics didn’t sit right with me. So I was intrigued to find out about a third of the way through Beastie Boys Book that they regret, even apologize, for most of that period. Not about what it would allow them to accomplish, and I don’t begrudge them that, but about becoming a cartoon for the machine. And also the misogyny. That kind of squares us. Because Check Your Head, Ill Communication, and Hello Nasty are three of my favorite records. I’m completely serious about this. Context: I had a brief, indie music career before I became an entrepreneur. I gave up the music career when I couldn’t take the machinery anymore. I got into music for the independence, the ability to take your talent and creativity and make something no one had ever heard before and be rewarded for it. I didn’t know that was entrepreneurism at the time, but that’s what I was chasing. However, a few years in, after getting lied to and ripped off and chasing carrots and getting baited and switched over and over again, I realized that the music dream was just a dream. In the real music world, you sold your soul, you signed away your future, you did what they told you. I had gone from dreamer to cynic and we weren’t even on a major label yet. I decided that the entrepreneurial spirit that seemed so alive in the music world was just a myth. Then the Beastie Boys did just that, they created this incredible entrepreneurial world out of the music business. And that’s what Beastie Boys Book is about. It’s actually, between the lines, a crash course in entrepreneurism. Look, everybody loves this book. 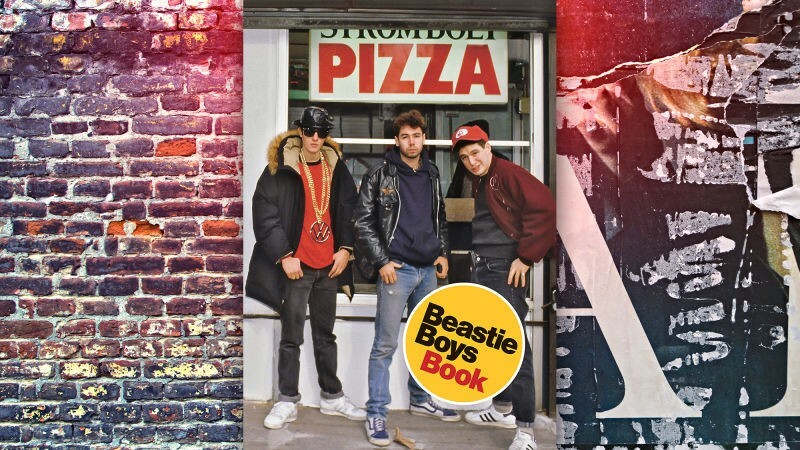 If you’re a fan of Beastie Boys, you need to buy this very expensive book. It’s worth it. It’s comprehensive, their story is told conversationally but the writing rarely gets wooden. They don’t spend a lot of time bemoaning how fame changed them except when it matters, and that’s refreshing. And the book itself is beautiful, from the cover and the weight to the design and the photos. Like a lot of what they do, whether you dig their content or not, it’s very well done. Even if you’re not a fan of the band but you’re a fan of music, or if you were alive in the 1980s and 1990s, read this book. Adam Horovitz and Mike Diamond know more about contemporary music history than I do. Plus, they lived it. If you’re an entrepreneur or thinking about becoming one, Beastie Boys Book is a spot on deep dive into an entrepreneurial life, with zero whining or navel-gazing. These are three guys who came out of a nowhere-ish upbringing, maybe a little upper middle class, and took the risks and paid the dues and did things not just to do them, but because they truly believed those things needed doing. Sometimes those things started off as lark. I once started and sold an entire company that began as a joke at a dinner party. Sometimes those things were started as an eff-you. I’ve done that too. And sometimes they did things like start a label and a magazine and a fashion line because they had a message to get out and the only way to get it out unfiltered and unmolested was to build their own machinery. You don’t need to want to start a record label or a magazine to appreciate this. What’s important is that they didn’t know how to do these things, but instead of trying to cut and paste from working examples, they just hustled and did it their own way. Would it pay off every time? Of course not. That’s what they learned coming off the circus spectacle of Licensed to Ill, which, ironically, started as satire until they became the joke. They could either keep being clowns in matching track suits for big checks or they could do their own thing on their own terms and shoulder the risks. They chose the latter. And their follow up record, Paul’s Boutique, was a commercial failure. But then Ad-Rock explains how a crazy idea to remedy the lack of a lyric sheet for Check Your Head turned into their first mailing list, which seeded the customer base for their label. There’s even a couple pages from the guy who was running their Usenet group. Turns out the band hunted him down and hired him to do their first website. They built the Beastie Boys startup, brick by brick, from parts that they thought would work, and they experimented with those parts until they were either proved right or wrong. They also didn’t thumb their nose at major labels or corporate opportunities. They still played within the circus, they just refused to put the clown outfits back on. They also rarely took themselves seriously, which is probably how they survived. The late Adam Yauch was the de-facto CEO, and they make that very clear in the book, which also explains why they universally gave up Beastie Boys when he passed away in 2012 and haven’t even come close to reversing that decision in six years. I didn’t pick up on this concept of Beastie Boys as entrepreneurs until about halfway through the book, but I suggest you read it with that idea in mind, even if you’re not a fan of startup. It might change the way you think about startup and help you understand that in its purest form, startup is not just about Ivy League grads in hoodies or fundraising decks or financial planning or sprints or market share. It’s about creating something unique and the joy of spreading that message. I always knew my mini-career in music was fueling my career in startup, and this book explains it better than I ever could.